One thing that always bugged me about the 2014 Milano set is how, even though it was far larger than the 2017 one, both had the same seating capacity (4). So I decided to MOD it to see how many people it could fit! It's a simple MOD really, and I have seen MODs to this set that are much better, but if you want the LDD file you can PM me your email and I will send it to you. I wonder how it would test out in stability. I do sometimes get frustrated myself how little seating is found in some newer sets these days. Even the 2012 Quinjet which was near perfect, lost a lot of seating capacity thanks to the overly complex and not very fun drone mechanism they built into the body. Some sets the only reason I can think they lack in seating is I figure that the hollow spaces create structural weaknesses which make it so the model can't withstand play. 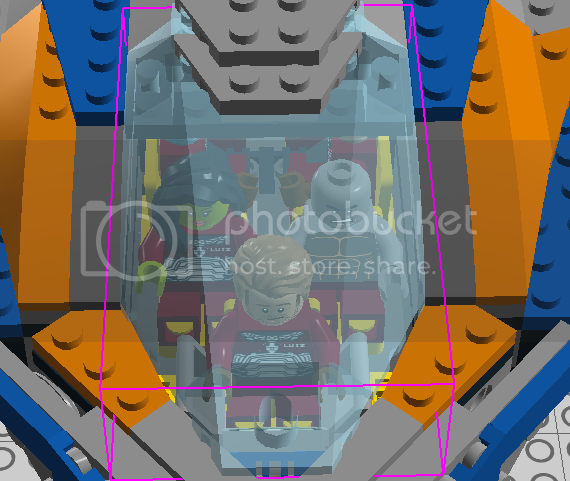 Either that, or Lego has forgotten that children and collectors like being able to seat figures inside vehicles. @xboxtravis7992 thanks for your comment! I think this modded Milano would hold up fine, as only the interior was changed and it was rather empty to begin with. I think I compromised detail for seating capacity, as the original seats were very detailed but were very few. I sometimes wonder what the kids that LEGO tests their sets with are like. 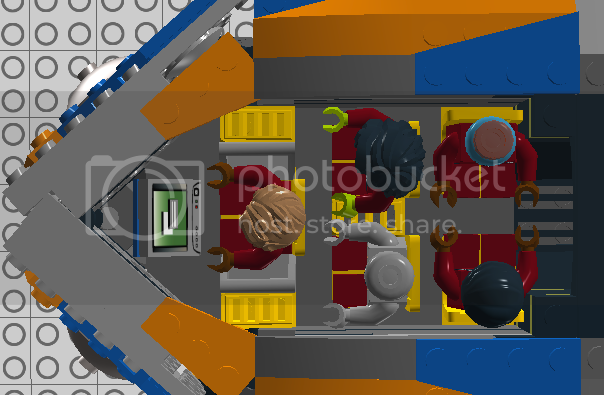 Kids I know like to seat minifigures in ships and swoosh them around, yet LEGO sets have all these little gimmicks that spoil seating capacity. 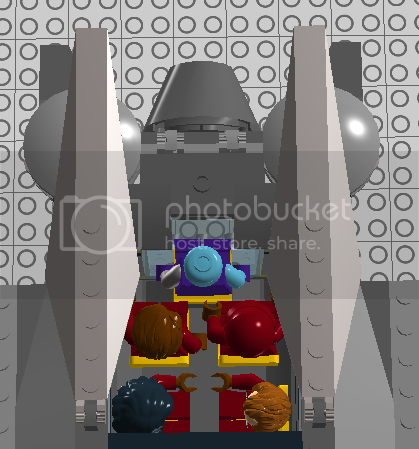 That is why when I made an LDD model years back of the Star Speeder from the Disneyland ride Star Tours I tried to include EVERY single seat in the actual ride vehicle. I don't know how stable the model would be in real life, but if I ever revisit it again (and make it into real bricks) I will still try and keep all the seats present in the model. Seats in Lego sets are so much fun in the simplest of ways. I`d like to see this, that ride is one of my great grandson`s favorites... also really nice work on The Milano, VaderFan! Awesome! It's no good having the main ship of the movie which should be seating 6+ only having four seat in. Cool mod, but you took out Star Lord's boom box! That's very important part of Milano! 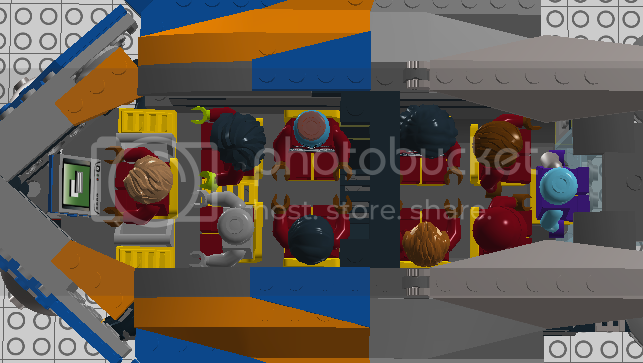 But nice job on fitting 5 minifigures in the front , simple yet effective mod.